OK, so maybe not everyone has the same definition of "the Christmas spirit." Maybe horror fans in particular have a very special understanding of the term that encompasses the schlocky Silent Night, Deadly Night movies. The first of them — about a kid traumatized by a killer Santa who then grows up to become a killer Santa — drew outraged think-of-the-children protests when it appeared in 1984. In the wake of the very real horrors of 2016, however, perhaps a killer Santa suddenly seems a bit less threatening as a concept and a bit more, well, refreshingly absurd. Anyway, it's sure to please the self-aware fright fans who show up for Cinema Casualties, a Burlington film series that I wrote about a few months ago. All are welcome at the free screening of Silent Night, Deadly Night 2 on Wednesday, December 14, 9 p.m., at Burlington's ArtsRiot. 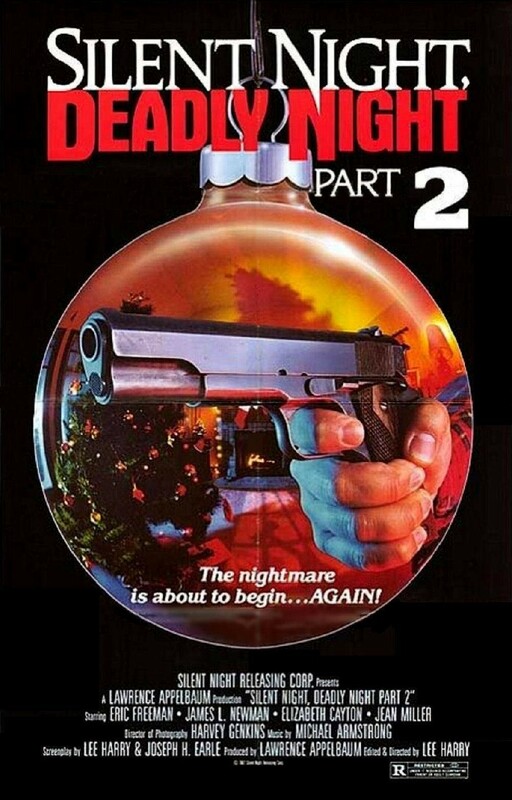 While I have not yet seen Silent Night, Deadly Night 2 (or, indeed, any of this series), I have a soft spot for evil Santa movies and can attest it's the rare sequel that enjoys a reputation rivaling the original's — in this case, because of its camp level. On Facebook, Cinema Casualties founder and director David Zeidler calls SNDN2 a "delicious slice of dime store fruitcake, which has garnered an ever-growing cult reputation due largely to the inspiringly over-the-top lead performance of Eric Freeman as Ricky, brother of the original Santa Claus killer, Billy." For a second opinion, read this very funny A.V. Club piece that covers all five (yes, really) SNDN movies. Seems Santa's been busy. Oh, and Zeidler tells Facebook fans to "feel free to get festive — come dressed as Santa, elves, or whatever. Get weirder if you'd like. I'm not here to judge."